This section presents the theoretical framework and method of research to be employed in this research work. This will show the theory that provides the framework for the analysis of the causal link between the budget deficit and the current deficit of India. Also, explained here is the model to be used, technique of estimation, data sources and measurement. Economic reasoning for connection between budget deficit and current account balance may be traced from the national income identity. where Y stands for national income, C- private consumption, I- real investment spending in the economy such as spending on building, plant, equipment etc., G- government expenditure on final goods and services, EX – export goods and services and IM – import goods and services. where “Net” stands for net income and transfer flows. So, in addition to goods and services balance, the current account includes also income received from abroad or paid abroad and unilateral transfers. For simplicity, here we assume that unilateral transfers and net income from abroad are not large items in the current account. Although it is worth mentioning here, that if country has big foreign debt and high debt servicing payments, its income paid abroad is a large negative item. The current account shows the size and direction of international borrowing. When a country imports more than its exports, it has CA deficit, which is financed by borrowing from foreigners. Such borrowing may be done by government (credits from the other governments, the international institutions or from private lenders) or by private sector of the economy. Private firms may borrow by selling equity, land or physical assets. So, a country with current account deficit must be increasing its net foreign debt (or running down its net foreign wealth) by the amount of the deficit. A country with CA deficit is importing present consumption and/or investment (if investment goods are imported) and exporting future consumption and/or investment spending. We can rewrite identity (8) in a form, which is useful for analyzing the effects of government saving decisions on an open economy. Where an expression (G + Tr – T) is consolidated public sector  budget deficit (BD), that is, as government saving preceded by a minus sign. The government deficit measures the extent to which the government is borrowing to finance its expenditures. Equation (9) states that a country’s private saving can take three forms: investment in domestic capital (I), purchases of wealth from foreigners (CA), and purchases of the domestic government’s newly issued debt (G +Tr –T). Looking at the macroeconomic identity (10), we can see that two extreme cases are possible. If we assume that difference between private savings and investment is stable over time, the fluctuations in the public sector deficit will be fully translated to current account and twin deficit hypothesis will hold. The second extreme case is known as Ricardian Equivalence Hypothesis (REH), which assumes that change in the budget deficit will be fully offset by change in savings. The real world is more complex than these two cases and to identify the circumstances in which the twin deficit hypothesis may hold one has to look at the channels by which government deficit influences the economy. 6. by running government budget arrears (not payment of government obligations as a specific way of borrowing, so called forced borrowing). It may be considered as a specific case of domestic borrowing to finance budget deficit in the transition economy. Examining the first four ways of budget deficit financing brings to light the different kinds of macroeconomic imbalances the deficit can cause in the economy. Printing money excessively shows up as inflation. By printing money, the government collects seigniorage. Seigniorage can be decomposed into a “pure seigniorage” component and an “inflation tax” component. (Quanes and Thakur, 1997, p.64). The pure seigniorage component is the change in real cash balances. It comes about because of real growth of the economy or a favorable shift in the demand for money. The inflation tax component is equal to the inflation rate that acts in this case as the “tax rate” times the stock of real cash balances held by the public (which constitutes the tax base). In the absence of inflation, the inflation tax will obviously be zero, but seigniorage is still being collected unless there is no growth in real cash balances. As a way of budget deficit financing seigniorage revenue has a certain limit. As inflation becomes very high, households may use foreign currency for transactions and dollarization occurs. In such a situation seigniorage collection becomes impossible any more. Domestic borrowing is considered to be a non-monetary way of BD financing only if borrowings from the banking system are not financed by central bank rediscounts. In general, government borrowing reduces the credit that would otherwise be available to the private sector, putting pressure on domestic interest rates. Even if interest rates are controlled, domestic borrowing leads to credit rationing and crowding out of private sector investment. If the economy is well integrated with international capital markets, government domestic borrowing will tend to push the private sector into borrowing more abroad. In this case the composition of public borrowing between foreign and domestic sources does not have much macroeconomic effect. The link between fiscal and external deficits will also be especially close when the capital account is highly open. The connection between budget deficit and current account deficit is closer if running down foreign exchange reserves and foreign borrowing are used to finance budget deficit. Excessive use of foreign reserve leads to a crisis in the balance of international payments in an economy with a fixed exchange rate regime. In case of using foreign exchange reserves for budget deficit financing, appreciation of exchange rate takes place. This option has a clear limit: capital flight and balance of payment crisis follows, since exhaustion of reserves will be associated with currency devaluation in case of fixed exchange rate regime. In order to understand what effects on the economy foreign borrowing as a way of budget deficit financing may have, we will analyze effects of financing a budget deficit by foreign borrowing in the small open economy with different exchange rate arrangements and different degrees of capital mobility. It is interesting to look at budget deficit in the light of the Mundell- Fleming model. This model was developed at the 1960-s by Robert Mundell and J.Marcus Fleming. The model presupposes a small open economy with full international capital mobility. The main assumption is that capital flows move faster than trade flows because international investors arbitrage differences in interest rates across countries to take advantage of unrealized profit opportunities. Thus, differences in interest rates between two countries generate massive flows of capital that tend to reduce or eliminate the differences. In contrast, trade flows respond much more slowly to changes in underlying economic conditions. So, the key assumption of Mundell- Fleming model is that interest rate is the same in the world economy, except in cases where capital controls exist. In fact, interest rates may not be equal throughout the world because of expectations of exchange rate movement. And Mundell- Fleming assumption about interest rate may not hold in reality because of political risk of the country, macroeconomic instability, capital controls and so on. Let us look at an increase in government spending (budget deficit increase) using three simple models of a small open economy with floating and fixed exchange rate and full capital mobility and with very limited capital mobility in case of fixed exchange rate. 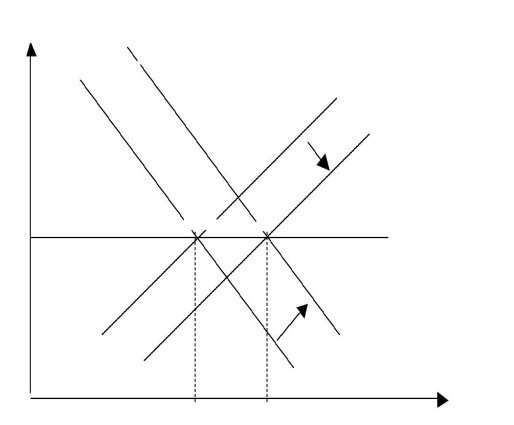 Figure 2 shows an increase in government expenditures in a small open economy with a floating exchange rate and full capital mobility. We assume that an initial equilibrium is in the point A, where the domestic interest rate and world interest rates are equal. Figure 2 an increase in government expenditures in the small open economy with flexible exchange rate and full capital mobility IS- LM model. In case of floating exchange rate and full capital mobility, an increase in government expenditures raises an interest rate in the domestic economy. Because a domestic interest rate is higher than world interest rate, capital inflow occurs at the point B in the figure 2 and exchange rate appreciates. As a result, imports rises and export falls, current account deteriorates. It provokes IS curve to shift back in the initial position in the figure 2. As a result, the interest rate becomes the same in the domestic and in the world economies (as argued by Mundell-Fleming model), domestic aggregate demand does not increase, domestic currency appreciates and current account is in the deficit. Figure 3 an increase in the government expenditures in a small open economy with full capital mobility and fixed exchange rate IS-LM model. In case of fixed exchange rate and full capital mobility, an increase in the government spending (a shift of IS-curve in the position IS1 in figure 3) causes domestic interest rate to rise and capital inflow occurs. As a supply of foreign currency rises and an exchange rate is fixed, economic agents start exchange foreign currency for domestic one because more domestic currency is needed for increased volume of transactions. In such a situation domestic money supply increases (LM curve moves to the left in the position LM1 in the figure 3). Although the exchange rate is fixed, an increase in aggregate demand will increase demand for import and the trade balance deficit occurs even in the short run, moreover, trade balance may deteriorate in the long run as real appreciation of domestic currency occurs. 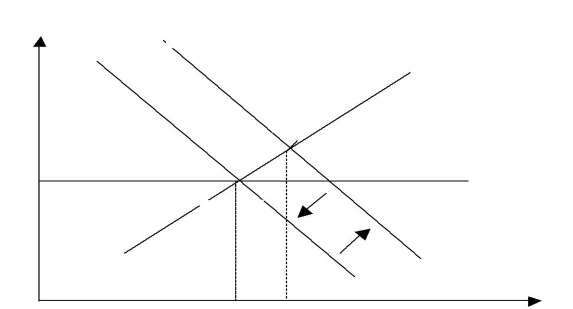 As consequence, we have the same interest rates in the world and in the home economies, aggregate demand increases and current account deteriorates. Perfect capital mobility does not always exist in the real world. So, it is very useful to analyze the case of very limited capital mobility. In the figure 4 we present IS-LM analysis for the case of limited capital mobility and fixed exchange rate. We draw a balance of payment line, denoted by BP, steeper than the LM-curve, which denotes very limited capital mobility. Assume that economy is in the initial equilibrium at point A. As government spending increases, the IS curve shifts to the right in the position IS1. The intersection with LM curve occurs in the point B below the balance of payment line. At the point B, a current account deficit takes place. As exchange rate is fixed, the central bank loses its foreign exchange reserves in the process of defending the exchange rate and pressure for devaluation exists. Domestic money supply falls because domestic residents demand more foreign exchange in the economy with fixed interest rate. As money supply is reduced, the LM curve shifts in the position LM1 and new equilibrium is restored at point C, where balance of payment is in equilibrium. In the point C domestic interest rate is higher than the initial and aggregate demand increases, so trade balance deteriorate and current account is in the deficit. Figure 4 an increase in government expenditure in a small open economy with limited capital mobility and fixed exchange rate IS-LM Model. So, we can see that if capital mobility is limited, an increase in the budget deficit causes a rise in the domestic interest rate, which, in turn, crowds out private investment in the economy. If foreign investors lose confidence in the economy, BP-line may become almost vertical and all foreign capital will leave the country. And if it happens, the domestic interest rate rises even further, an aggregate demand has returned to its former level, but its composition has changed government spending has increased at the expense of private investment and consumption. As can be seen from IS-LM models in figures 2-4, budget deficit financing in an open economy inevitably has its impact either on exchange rate or on interest rate or on both, depending on a degree of capital mobility in the economy and on exchange rate arrangements. In an economy with full capital mobility and floating exchange rate foreign borrowing causes appreciation of exchange rate, damaging export and encouraging imports. 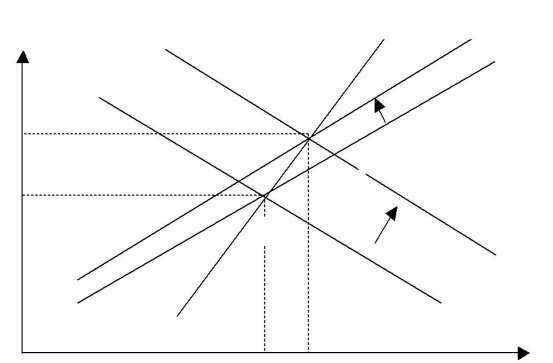 In case of fixed exchange rate an increase in aggregate demand increases import and current account deteriorates even if the exchange rate does not change. If domestic borrowing is limited, which especially is the case in some developing countries, the connection between the budget deficit and external borrowing is more likely to be close. In such a case fiscal adjustment through cutbacks in government expenditures can substantially improve the current account. So far we assumed that saving rate is given if an economy is in full employment. So, an increase in BD results in either a reduction in investment or in an increase in the CAD. In fact, different assumptions with respect to saving can be made. In the present work we assume that rate of saving is determined by the long run level of disposable income and do not focus on the possible link between the BD and saving. We assume that saving decisions taken by private sector of the economy are independent of government saving decisions or of government budget deficit. The alternative point of view is known as Ricardian Equivalent Hypothesis (REH) first introduced by Barro in 1974). The main point is that under a very specific set of assumptions lump sum changes in taxes would have no effect on consumer spending. A cut in taxes that increases disposable income would automatically be paid by an identical increase in saving. So, according to REH (Sachs, Larraine, 1993, p.201) the budget deficit and taxes are equivalent in their effect on consumption. Current consumption can be affected by the expected income of the future generation. As REH states, the time path of taxes does not matter for the households’ budget constraint as long as the present value of taxes is not changed. The explanation is the following: a tax cut does not affect households’ lifetime wealth because future taxes will go up to compensate for the current tax decrease. So, current private saving, Spr, rises when taxes fall (or accordingly BD rises): households save the income received from the tax cut in order to pay for the future tax increase. Hence, a BD would not cause a twin deficit. In practice, limits for REH exist. For example, public sector may have a longer borrowing horizon than households have and today’s households would regard the current tax cut as a real windfall. Such a tax cut would produce a rise in consumption and a fall in national saving inasmuch as private saving would not rise fully to compensate for fall in government saving. So, according to (2.10) the current account would tend to deteriorate. The other reasons for REH limitation in the real world may be barriers for borrowing. Households may be unable to borrow against future income because of imperfections in the financial market and especially if the financial market is underdeveloped. Uncertainty is one more powerful factor that undermines the case for REH. In the present work we do not believe that REH may be relevant for real economy in transition. Some authors present quite strong evidence against REH. As can be understood from the said above, the mechanisms of linkage between BD and CAD are quite complex. We can see that government financing decisions may affect private saving, private investment and current account. The macroeconomic framework and existing institutions framework have to be taken into account to identify the exact channels through which BD and CAD are connected in the economy. In particular, we have to take into account existing exchange rate arrangements, degree of openness of the economy, existing business cycle, expected and current profitability of investment in the economy. In addition to the macroeconomic setting, one has to take into account what institutions exist in the economy and how they work. For example, if the financial sector in the economy is weak, national savings will be low and domestic resources will be unavailable for government to finance its budget deficit. If property rights are poorly defined, private investment will be very low and in such a situation government may increase budget expenditures to invest in the economy. On the other hand, private investment may be further reduced because of crowding out effect. We expect that, if BD is financed by running down foreign reserves or by foreign borrowing, the twin deficit relationship have to be stronger. In both cases appreciation of exchange rate occurs which worsens current account balance by rise in import and fall in export. If exchange rate is fixed and excessive running down of foreign reserves occurs, private sector agents, expecting future depreciation, fly capital abroad, which also deteriorate current account. Foreign borrowing, as a way of financing budget deficit, will be most likely used if the domestic financial sector of the economy is weak. In case of full capital mobility an inflow of capital causes exchange rate appreciation, in case of floating exchange rate, and expansion in aggregate demand, in case of fixed exchange rate, which in both cases leads to trade deficit. If foreign borrowing occurs in a country with very limited capital mobility, an increase in government expenditures causes an increase in domestic interest rate and a rise in aggregate demand, which deteriorate the trade balance and the current account. Mundell, R. (1963) Capital Mobility and Stabilization under Fixed and Flexible Exchange Rates. Canadian Journal of Economics and Political Science. November, 1963 and Fleming J. Marcus (1962). Domestic Financial Policies under Floating Exchange Rates. International Monetary Fund Staff Papers, November 1962. Sachs, Jeffer D. and Larraine, Filipe B. (1993). Macroeconomic in the Global Economy, Prentice – Hall, Inc, Englewood Cliffs, New Jersy.p.404-420. Barro, Robert J. (1974). Are Government Bonds Net Wealth? Journal of Political Economy. 81(December), pp. 1095-1117. Bernheim, Douglas ((1987). Ricardian Equivalence: An Evaluation of Theory and Evidence. NBER Macroeconomic Annual, vol. 2, pp.263-303. ) presents evidence that weakens REH. "Budget Deficit and Current Deficit in India Relationship." UKEssays.com. 11 2018. All Answers Ltd. 04 2019 <https://www.ukessays.com/essays/economics/budget-deficit-current-deficit-india-8692.php?vref=1>. "Budget Deficit and Current Deficit in India Relationship." All Answers Ltd. ukessays.com, November 2018. Web. 19 April 2019. <https://www.ukessays.com/essays/economics/budget-deficit-current-deficit-india-8692.php?vref=1>. UKEssays. November 2018. Budget Deficit and Current Deficit in India Relationship. [online]. Available from: https://www.ukessays.com/essays/economics/budget-deficit-current-deficit-india-8692.php?vref=1 [Accessed 19 April 2019]. UKEssays. Budget Deficit and Current Deficit in India Relationship [Internet]. November 2018. [Accessed 19 April 2019]; Available from: https://www.ukessays.com/essays/economics/budget-deficit-current-deficit-india-8692.php?vref=1.